Graal of the Unicorn is one of Wolf & Goat’s more complex oils, a result of tedious preparations, the careful layering of over fifty ingredients, and numerous trips into the wilderness. 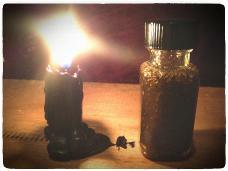 This oil is indispensable in all manners of healing and purifying people or places of malefic potencies. In addition to this it is useful in establishing a well-respected place of power or rulership, protecting children and easing their suffering, the promotion of chaste love - or on the other side of that, making men more sexually desirable, and for reaching an affable agreement between two differing parties. 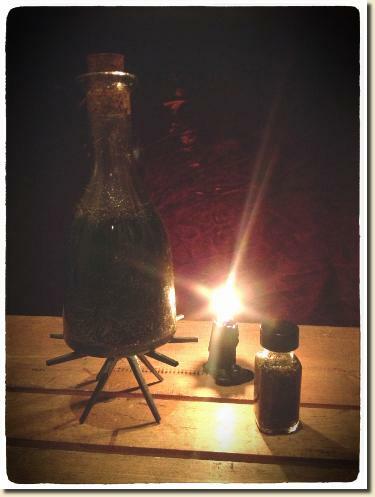 This oil also contains two other Wolf & Goat oils - Fire From Heaven and Waters of the Moon - both terrible in their power and dangerous to use when on their own, but that create a base of beautiful harmony when combined carefully in equal amounts. Price is for one half ounce bottle of Graal of the Unicorn Oil. If you are interested in greater amounts, please contact us.